New ID systems are “new” because they are high-tech. But their newness is also seen crucially in the ways that they contribute to new means of governance. The rise of e-Government and global mobility along with the aftermath of 9/11 and fears of identity theft are propelling the trend towards new ID systems. This is further lubricated by high technology companies seeking lucrative procurements, giving stakes in identification practices to agencies additional to nation-states, particularly technical and commercial ones. While the claims made for new IDs focus on security, efficiency and convenience, each proposal is also controversial. Fears of privacy-loss, limits to liberty, government control, and even of totalitarian tendencies are expressed by critics. "Lyon brilliantly mixes precise distinctions with experimental inferences to make legible the current status of technology-driven identification systems and their future potential for sorting citizens." "ID cards are an issue of growing concern in many countries. David Lyon provides fresh perspectives and many new insights into the way these systems work and the consequences they have for individuals and society. The clear, compelling and informative writing makes the book attractive to both specialists and the general reader." 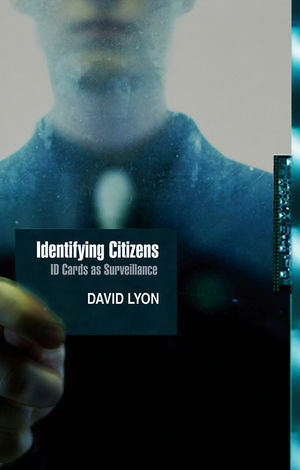 "With an admirably lucid and clear style David Lyon shows how new technologies of identification govern new divisions of citizens and their others (strangers, outsiders, aliens) by decoding (biometric) and sorting (categorical) bodies. It also brilliantly illustrates how struggles for citizenship must now be also fought through databases (increasingly owned and controlled by 'card cartels') that make such technologies possible."